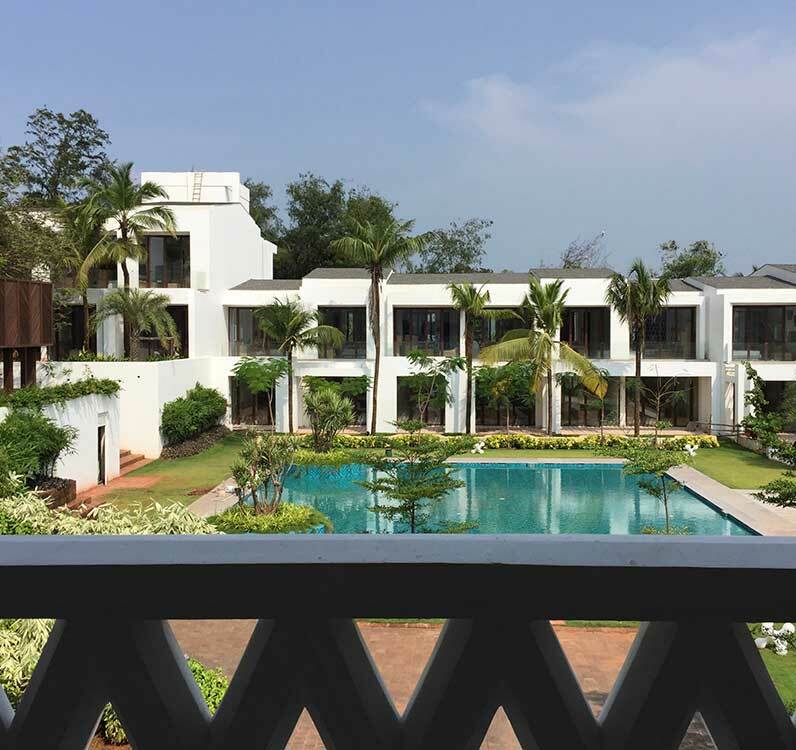 Goa is eco.id’s second W Resort after the birth of the first W Maldives in 2008, which was the prototype for one of the most successful resort hotel brand “W Hotels” by Starwood (now Marriott International). Situated on a 25 acre site, the terrain begins as a high bluff then cascade steeply to the beachfront. 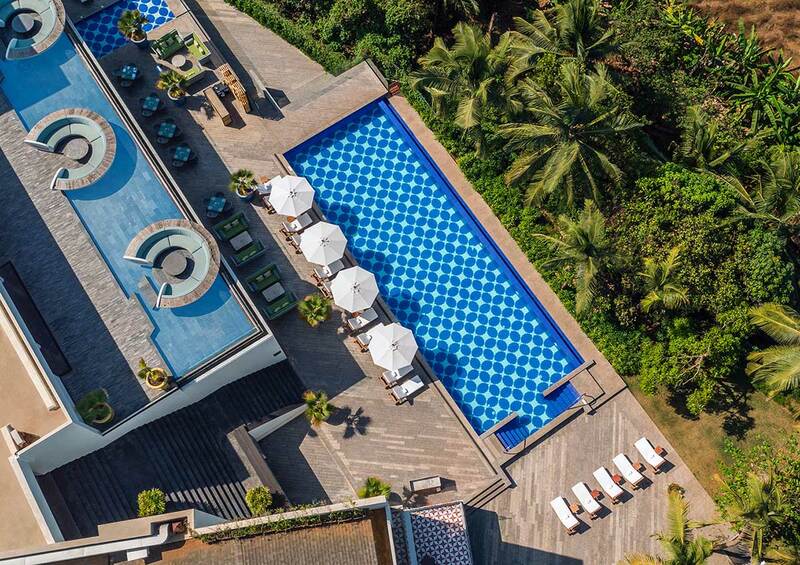 W Goa features 160 guestrooms, including Villas, Chalets, a Marvelous Suite and an Extreme WOW Villa (the brand’s take on the Presidential Suite). eco.id conceptualized the design narrative of W Goa as “The Garrison Village under the watch of the mighty fort”. 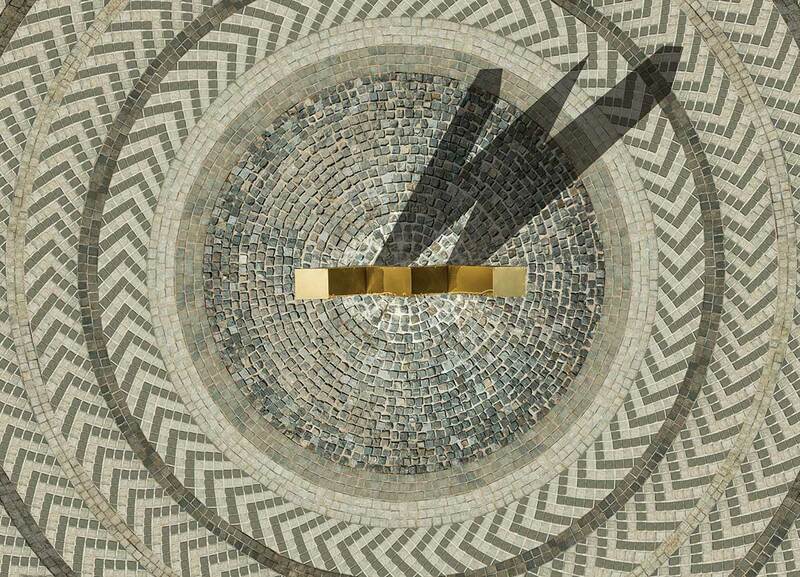 Inspired by its neighbor, a 500 year old Portugese fort, W’s architecture is its modern cousin. The arrival courtyard is reached via a rampart that recalls the procession into a fortified town. 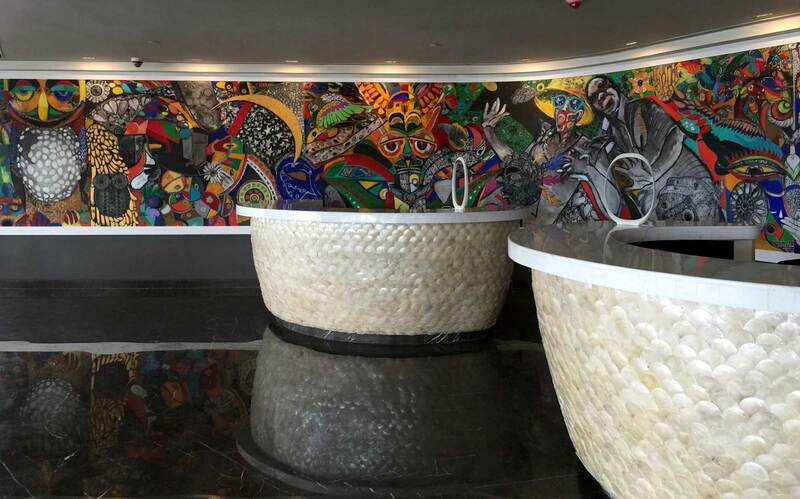 Reception Area: Backdrop of a massive street art mural by Indian artist “M. Narayan” featuring gutsy, raw imagery that celebrates the melting pot culture of Goa. 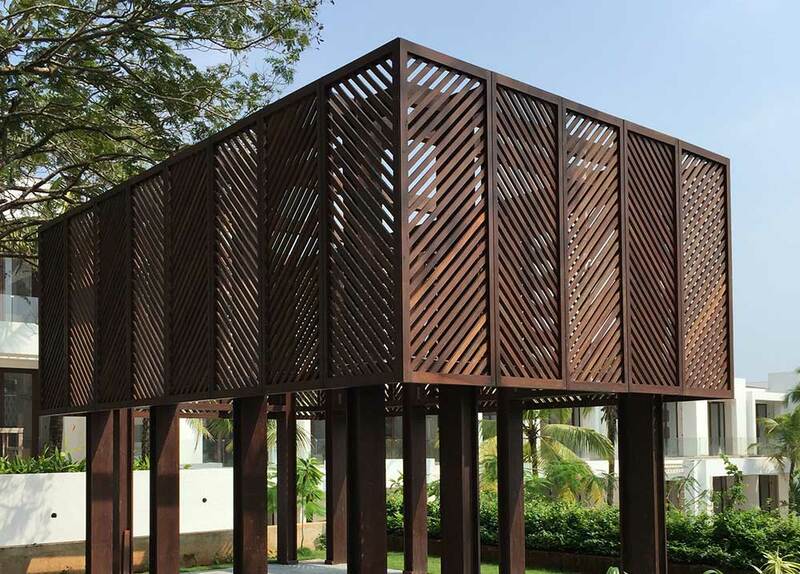 In the walled courtyard, guests are greeted by a monumental lattice structure that houses the arrival foyer. A filigree of timber slats in the motif of repeated Ws create wonderful shadow play by day and a dramatic lantern by night. 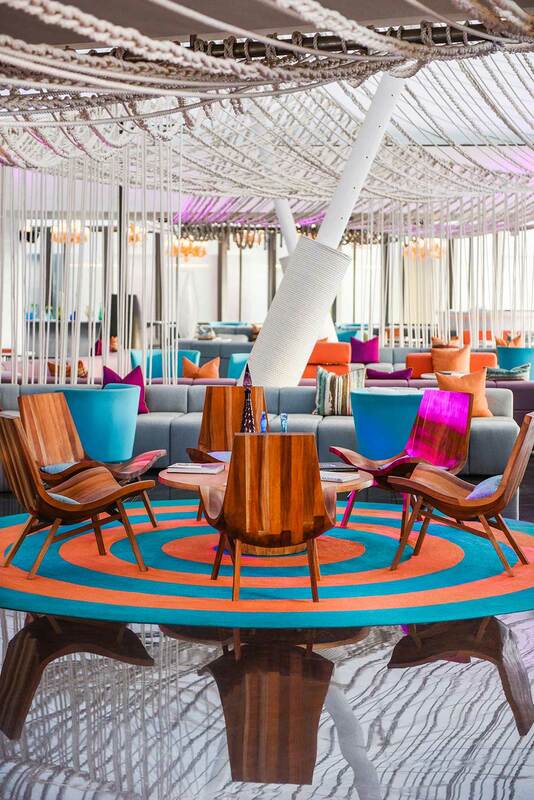 It draws the visitor inexorably thru the lobby and leads them to a cliff edge view of the Indian Ocean. The residential wings are organized around a second courtyard that was the site of an old garden. A specially developed diamond shape lattice acts as a relief to the austere architectural walls that frames this garden courtyard. 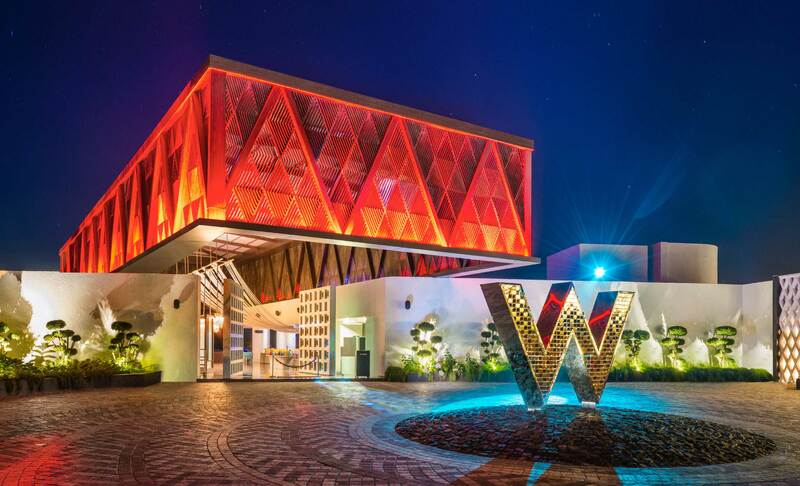 W Goa matches modern architecture with the coastal landscape of Goa creating a place to house the exuberant spirit that is unique to W Hotels.